I’ve never met a woman who doesn’t need to boost her magnesium levels. 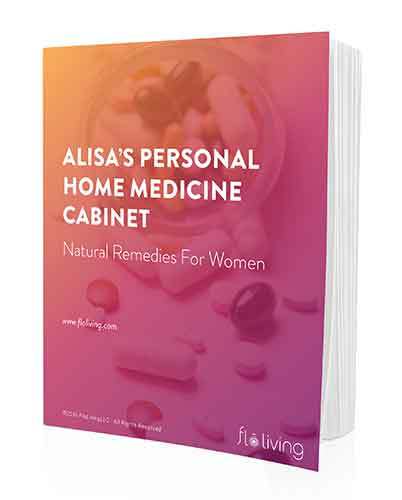 It’s very easy to become deficient in this vital mineral and the symptoms of deficiency often manifest as period problems and hormonal health issues. If you get stressed out (who doesn’t? ), then you’re probably deficient in magnesium. If you’re coffee-dependent, you’re probably deficient in magnesium. If you like a glass of wine, you’re probably deficient in magnesium. Are you a sugar-fiend? Then you’re probably deficient in magnesium. You get the idea! If you’re reading this post, it’s likely you’re deficient in magnesium. If you have PMS, PCOS, fibroids, ovarian cysts, hormonal acne, irregular cycles, or any other hormone imbalance-related issue that would bring you to this blog, one of the first steps to your recovery is upping your intake of magnesium-rich foods. These foods are central to the FLO Living protocol for good reason – magnesium plays an important part in the first two phases of the protocol by supporting blood sugar balance and healthy adrenals. Magnesium deficiency is hard to detect via normal means like a blood test, it’s really all about the symptoms. I advise, if in doubt – assume you need to increase your magnesium levels. There are so many benefits to magnesium across all the essential functions of the female body – from hormone creation to thyroid support to insulin control. If you’re new to FLO Living and you want to know where to start, front loading magnesium-rich foods in your diet is a great idea. It’s really a full-spectrum treatment for any kind of hormone imbalance you might be experiencing right now. I also advise my FLO Living clients to take regular epsom salt baths for the magnesium-boosting benefits. 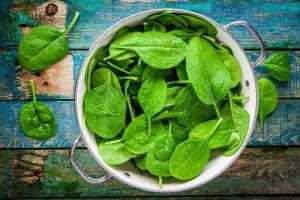 Dark, leafy greens like spinach and chard – leafy greens have the highest level of magnesium of any foods, which is why I like to have a side of them with almost every meal (sautéed, with a little coconut oil is my favorite). Just one cup gives you half your daily requirement. Sesame seeds – here’s why I choose sesame seed butter over other nut butters, it’s so rich in magnesium. These seeds also contain high levels of calcium, which helps with the absorption of magnesium. I previously recommended them for low energy, cramps, and an immunity boost. Avocado – avocados are a great all-rounder when it comes to hormonal health, which is why I eat them every week. 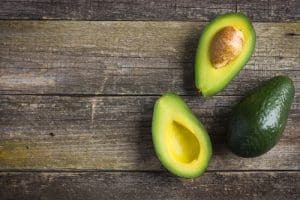 As with all these foods, magnesium-boosting isn’t the only benefit, avocados have many hormone-balancing properties. Almonds – a handful of almonds will go a long way. Such a simple, easy way to increase your magnesium levels. Have you tried my favorite seasonal herby nuts recipe? 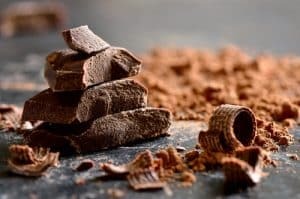 Dark chocolate – chocolate with above 70% cocoa solids contains a high level of magnesium – no wonder you might crave it during your premenstrual and menstrual phases! 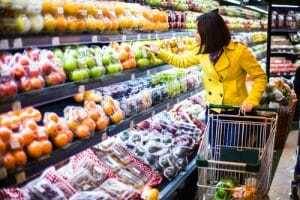 Make sure the brand you choose has no extra sugar as sugar requires magnesium to be converted in the body, depleting your reserves. Otherwise, feel free to indulge.